Headlights, tech updates, chrome bits. Sooner or later, all of the good things – and even the mediocre things – have been teased. 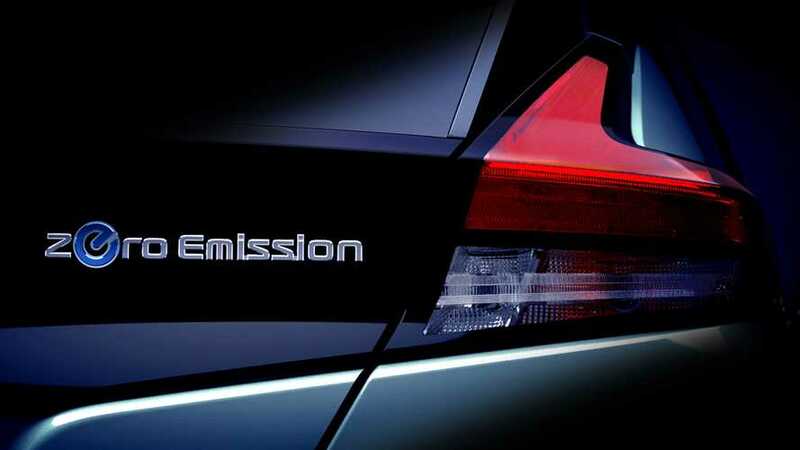 But, the reveal of the new Nissan Leaf isn't for another few weeks (it happens September 5th in the U.S., concurrent with an event in Japan), so Nissan is left highlighting another detailed close-up of the tail light of the second generation of the world's best-selling electric vehicle. Of course, if you've been paying attention, then you've pretty much already seen the new Leaf in any number of spy photos. We even have some of the expected specs, thanks to leaked documents and other images. Put all of these together with Nissan's long series of official teasers about the electric car's automated drive technologies and it's new e-Pedal driving style, and we all should have a pretty good idea about what the EV will look like and offer when we finally see it next month. Nashville, Tenn. – The new Nissan LEAF* will be revealed September 6, 2017, in Japan. Packed with our most available advanced technologies, the redesigned next-generation LEAF will amaze your senses and raise the bar for the electric vehicle market. Being 100% electric and having zero tailpipe emissions, the new Nissan LEAF, an icon of Nissan Intelligent Mobility, offers a quiet and refreshing experience while driving. With available Nissan Intelligent Mobility technologies, you are more confident with enhanced vision and can better sense what is around the car. Additionally, premium interiors designed to suit your taste will offer buyers a touch more comfort. Nissan established itself as a pioneer in the EV movement by launching the LEAF, the world's first mass-market electric vehicle. Today, the Nissan LEAF is the world's best-selling electric vehicle with more than 280,000** units sold. The world premiere for the new Nissan LEAF will take place on September 6, 2017, in Japan and we will be bringing the unveiling to you live online. Subscribe to Nissan's Global YouTube account or follow us at @nissanmotor.